It is around this time of year that there is a feeling in the air; of holidays speedily coming and going, sunshine beckoning us outside and willing us to stop working and enjoy the summer vibes. It is the perfect time to pack up the car and undertake the greatest of Australian escapes – the summer road trip. 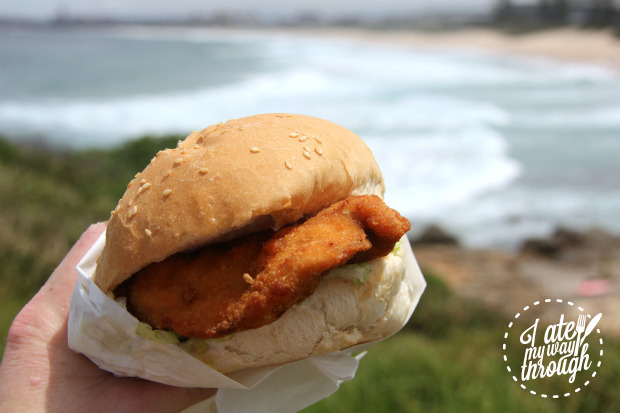 If you’re searching for an easy getaway from the city, and a quick road trip (it’s still a long enough distance that you can justify packing road trip munchies) look no further than the shores of Wollongong. The Gong, as it’s affectionately known by its locals and those in the know, (or Da Gong, if you want to get really bogan, which, let’s face it, we can all embrace our inner bogan) is only an hour or so south of Sydney, and is a break from the hustle of the city. I am pretty biased in my appreciation for da Gong, being a resident of the fair city; so I have put my bias to good use to provide you with a comprehensive guide to the Gong. I’ve included a few of my fave haunts, and a couple of hidden gems that you wouldn’t know about unless you were looking for them. 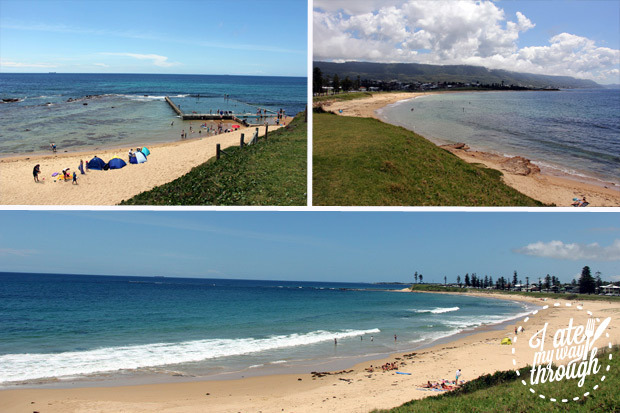 One of the things Wollongong does well with are beaches. Of course Sydney has its own beaches, but fun fact; (yes, I’m about to go all peppy tour guide on you) there are 17 beaches spanning the coastline of the Gong. With so many options, I couldn’t include them all without get beached as bro; but there are a couple of noteworthy seascapes I will mention. Now, it is difficult to narrow down a beach out of so many, but I will make a mention of Bulli. Bulli is beautiful, located in the pretty Northern Suburbs, but it is also extremely convenient for Sydneysiders wanting an easy beach trip. It’s an easy winding trip down Bulli Pass straight to the sandy shores. In fact, I have a friend from Campbelltown who loves Bulli for this very reason, so much so that he considers it his local (he wishes). If the beach is all you’re after, it is easy to bypass the often-busy town centre; and is generally slightly easier to find a parking space. 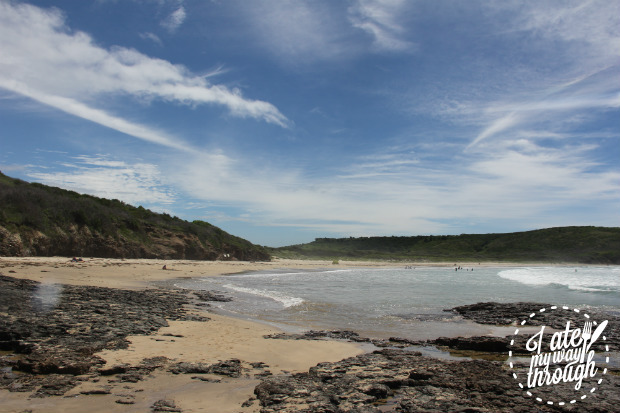 If you’re feeling up for a cruisy coastal trip a little further south, the Farm in the Killalea State Park is definitely worth the drive. It is the perfect spot for a day at the beach, and is popular with surfers on the South Coast. 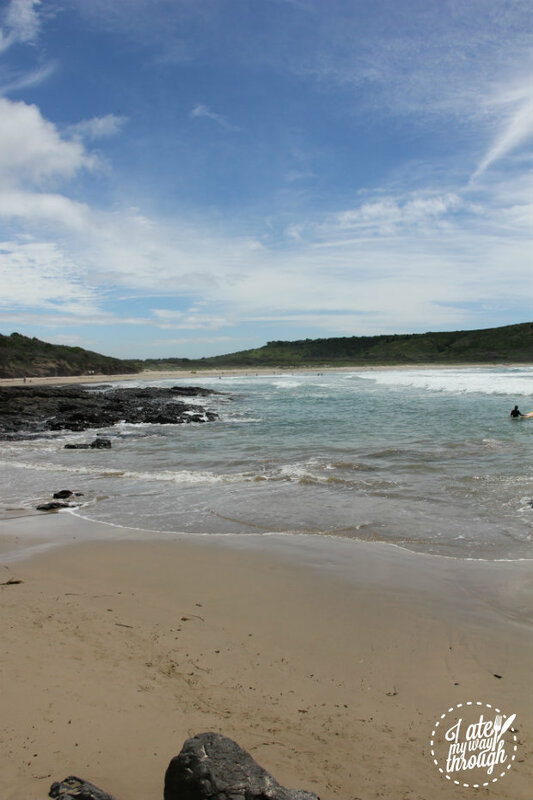 It is a secluded spot, and with the sheltered section of beach providing minimal waves it is easy to have a dip. It’s fairly large, and doesn’t tend to get very crowded, something I really hate in Sydney beaches. I challenge you to find a pristine stretch of sand with under 10 people on it in the middle of the school holidays in Sydney. Let’s face it, it’s probably about as likely as seeing a mermaid. You won’t see mermaids at the Farm but you will have a massive piece of beach to yourself. It is the ideal spot to stretch out for a picnic lunch or set up a game of beach cricket; something my friends and I have indulged in a couple of times as a relaxed New Years Day activity. 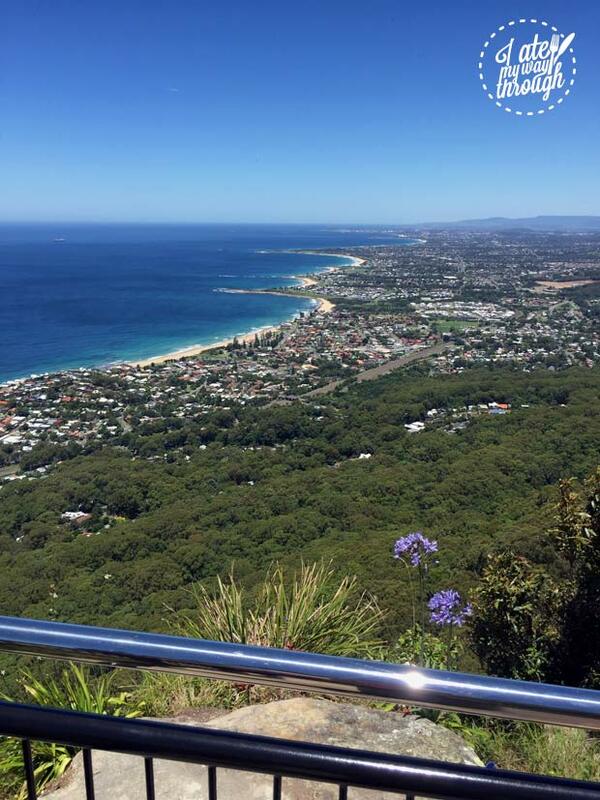 If you’ve traveled to Wollongong before, you’ll have passed, and likely stopped, at the Sublime Point lookout. The breath-taking lookout offers a unique view out across the picturesque coastline. If you ask pretty much any resident of the Illawarra, they’ll likely confirm an opinion I have, which is that the view of the Gong coming down Bulli Tops or Mount Ousley is the ultimate signifier of being home, and it doesn’t matter how many times I see it, it never fails to get me. For a quick visit, the lookout is an easy stop in the car, but if you’re feeling particularly adventurous or energetic, and you have an hour or so to spare, how about hiking it? As a fairly lazy person exercise wise, I only very recently committed myself to the walk, much to the chagrin of my best friend who had been trying to convince me for months prior. Now, it’s not for the faint-hearted, I will admit that it’s fairly grueling; not helped if you’re an unfit dessert lover like myself. Beginning a few streets away from Austinmer train station, it’s all uphill, even reaching a point where you have to climb ladders -yes, actual ladders! The saving grace is that even though I made the dubious decision to do it at midday on a humid 30 degree day, it is through bush, so the trees’ canopy will keep you pretty cool. It apparently gets pretty packed on weekends, and due to the narrowness of the track in some parts I’d definitely recommend doing it on a weekday if you can. It’s worth the near heart-attack and aching legs for that sublime view. Pepe’s is another new contender in the small bar movement that is taking over Wollongong, and it is long overdue. Considering Wollongong’s beachy reputation and laid-back vibes, I’m surprised it’s taken this long to create a venue making the most of the town’s foreshore, and I wonder why there aren’t more such venues. 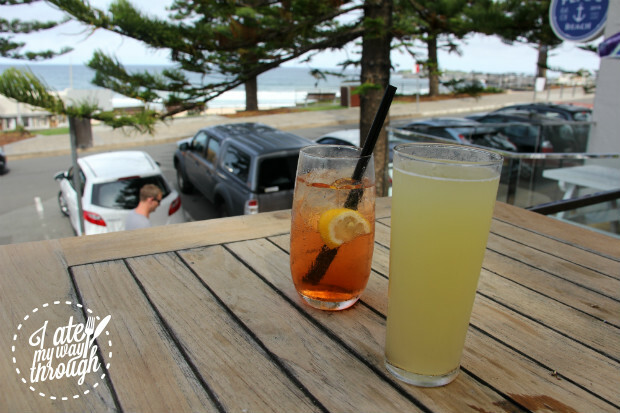 Located on Cliff Road underneath the Novotel Northbeach, the bar is set just across from one of Wollongong’s most popular beaches. The newly refurbished bar has shed its somewhat shady past and has taken over from the less-than-beachy Beach Bar that formerly resided there. 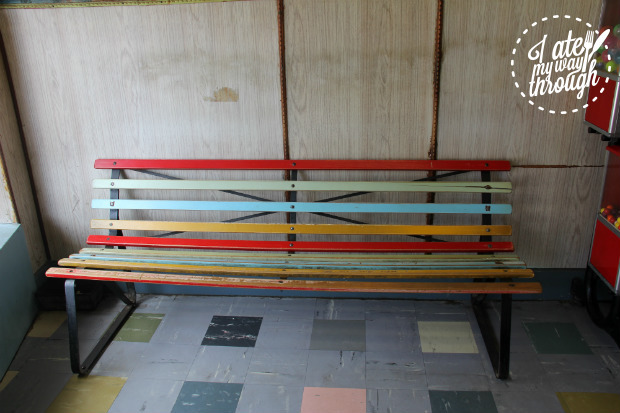 The design is fresh, nautical, and brightly coloured, and fits in perfectly with the laid-back vibes and salty air of North Wollongong. While I believe it’s still figuring out its groove and staffing, I’m confident this is going to be my new fave summer hang out. 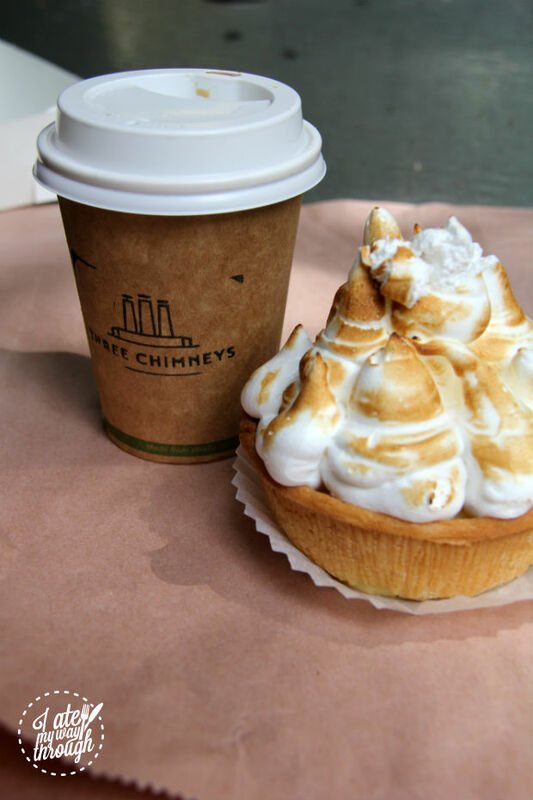 Three Chimneys is a culmination of bar, bakery and cafe and is a hit with CBD workers, young families and coffee-drinking hipsters alike. The venue is another easy-to-miss gem, tucked away behind the Illawarra Performing Arts Centre and backing onto Crown Street. It is a refurbished warehouse space, with a coffee roastery and woodfired sourdough bakery tucked away in the bar/cafe space. While I find the service can be a bit hit-and-miss, it has a unique atmosphere unlike any other venue in Wollongong and consistently good food. The venue also hosts live music while serving up tasty meals and drinks including craft beer, cider and cocktails. The Little Prince was probably the pioneer of the small bar wave in Wollongong, and it’s still going strong. While new places continue to pop up, Little Prince is defintely a local winner, with what I would consider to be Wollongong’s best cocktails. 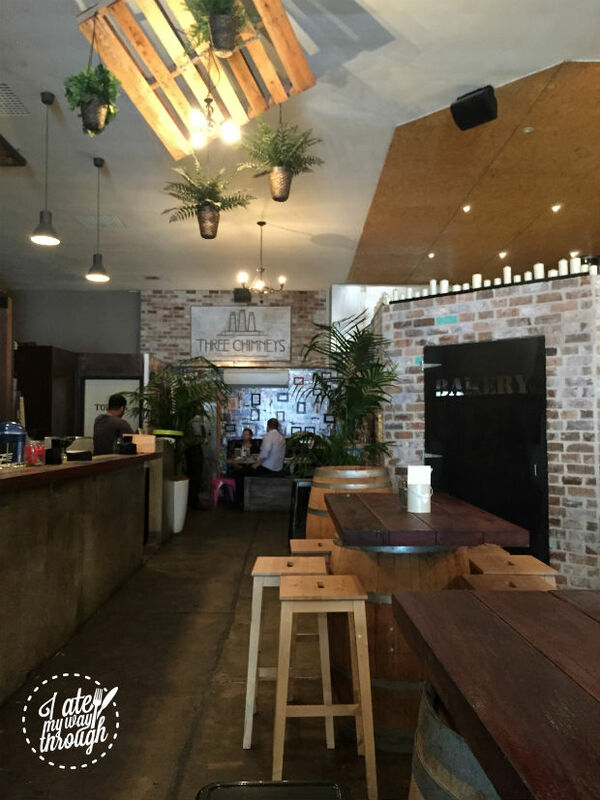 Located in the increasingly popular Globe Lane at the Western end of the Crown Street Mall, the deceptively-sized bar is a lush garden haven hidden behind wooden fences. 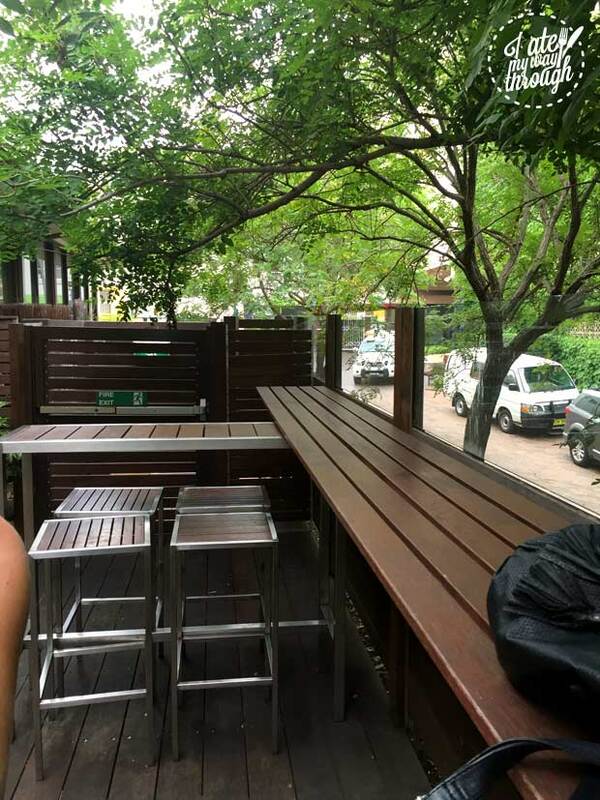 Tucked away on the corner near Myer, the former restaurant features a small interior that flows into a leafy garden with wooden benches, booths and a relaxed vibe. 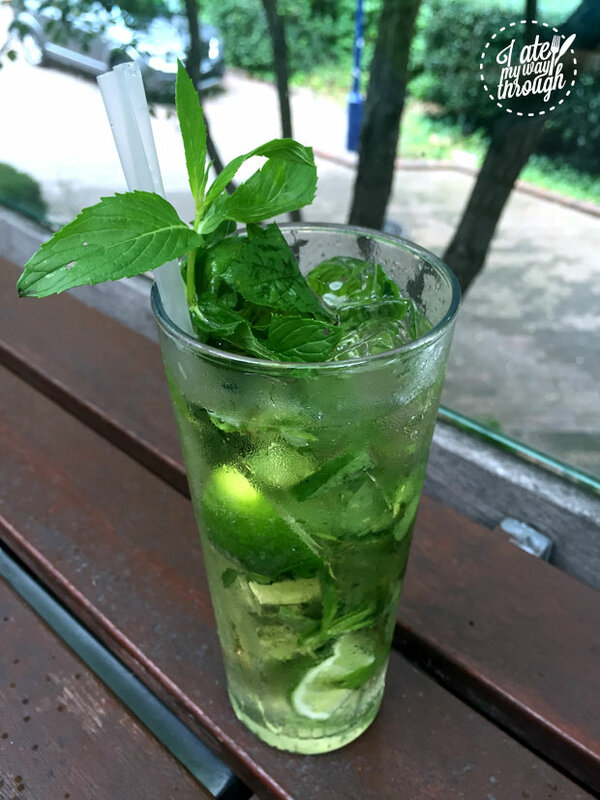 If you’re feeling like a classic cocktail, I can’t go past a fresh Mojito or Amaretto Sour. There are always new additions to the ever-changing cocktails lists, and if you’re hungry, there are a range of tapas and tasty dishes on offer to keep you satisfied. Without a doubt, Swell is my favourite coffee shop hands down. Tucked down a side ally on the Eastern end of the Crown Street Mall, you wouldn’t know it was there unless you were looking for it. But you best be looking for it. It is only small, but at peak times it packs out. The coffee is consistently great and there are a small range of toasties and salads for those wanting a bite to eat as well. 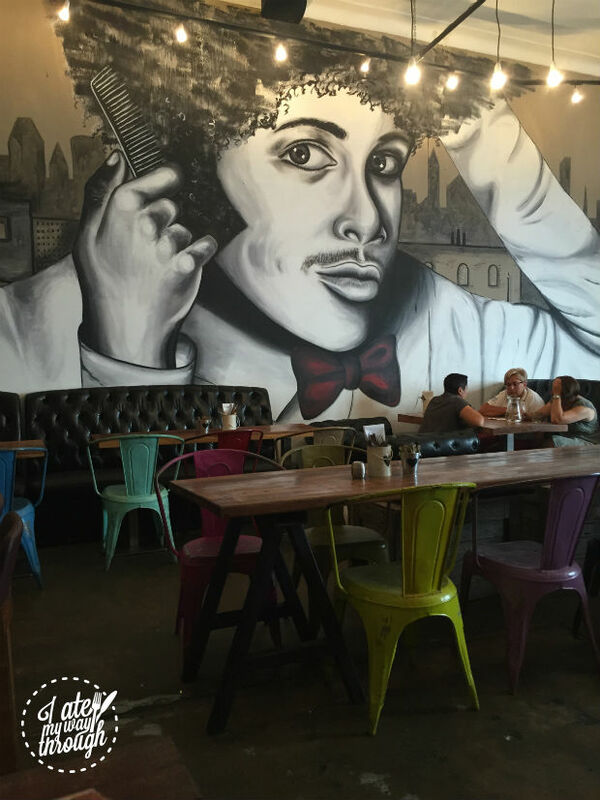 The staff are always genuinely happy and friendly; just adding to the laid-back feel in the cosy space. 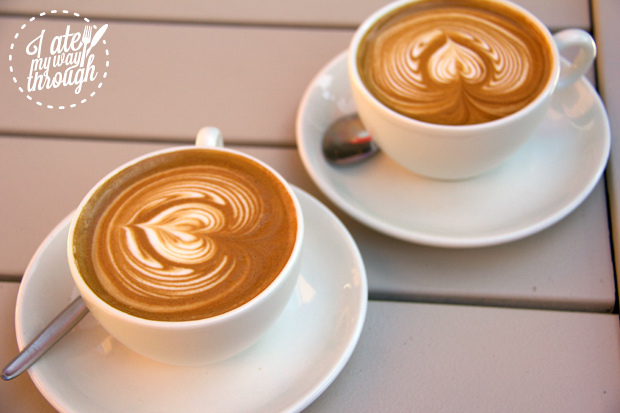 The cafe roasts its own coffee, and supplies Swell coffee beans to a string of cafes in the Illawarra. You can buy Swell beans in store or online so you can have the goodness at home too. It’s nothing fancy, but it Chicko’s gets it done. 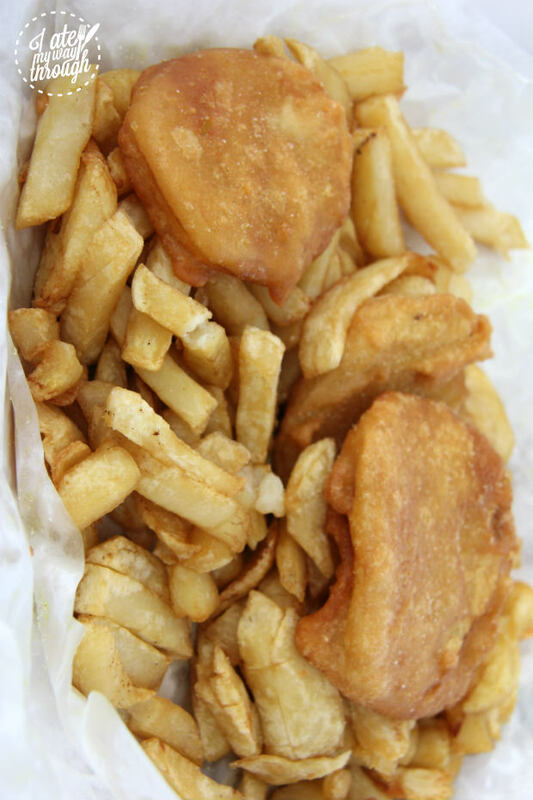 Whether it’s lunch time after a morning at the beach, or curing a hellish hangover, Chicko’s will deliver the goods. The burgers are generous in size; the Mini Burger is more maxi than mini. They don’t just do burgers and chips, they have a range of pastas, salads, desserts and cakes too. 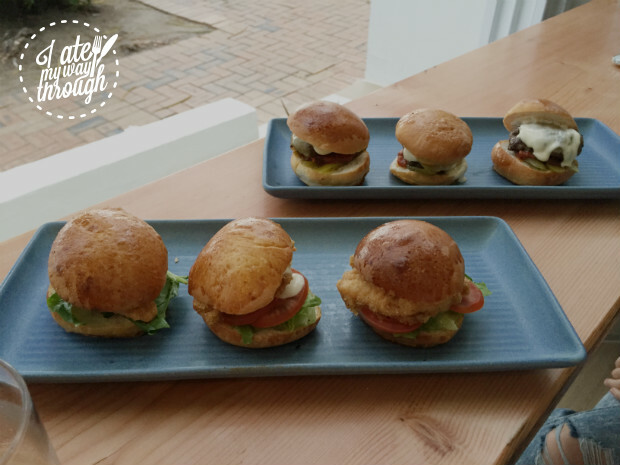 The Original Mini Burger, with schnitzel, lettuce and mayo, is my go-to for burger cravings, lazy evenings where I can’t be bothered to cook, and beach days. And where better to eat it than overlooking the beach? 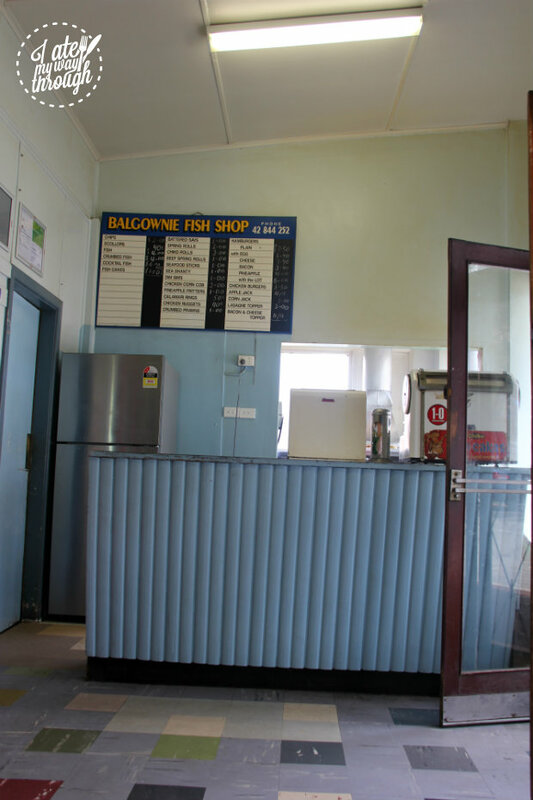 Balgownie Fish and Chip Shop is the real deal. A legend of the Illawarra, the shop has been owned and operated by the same couple for 51 years. Deceptively, it’s not on located on the beach, but in the quiet Balgownie Village just north of Wollongong. Everything about it is authentic, and stepping in is like stepping back in time. Generations have passed through the shop, and the prices are still low and the service warm. My Dad fondly recalls to me his days visiting the shop as a 17 year old apprentice, and swears nothing has changed, thirty-something years later. Even when it packs out around lunch time, no one minds the wait because it is well worth it. The couple hand peel and cut their famous chips every day, and you can taste the difference. Sadly, the iconic shop will be closing in a few months when the owners embark on a well-deserved retirement, taking with it the nostalgia of many years past. I can only say get there while you can! His Boy is a cafe slash bar in Globe Lane, just up from Little Prince. Sister (or brother) cafe to Lee and Me, a cafe slash clothes shop located on Crown Street, His Boy is a hipster cafe by day and prohibition era themed bar by night. The coffee is good, and the chocolate brownies are the best I have found so far in the Gong (apart from my own of course). The burgers have garnered a reputation, particularly the Fat Boy Burger, which was named as one of the top 11 burgers in Australia, according to the Urban List. Possibly due to its burger fame or maybe the proliferation of bearded, chino-wearing hipsters, the menu is a little pricey, particularly in the area of drinks. The vibes are good though, and it’s a cosy place to hide for coffee or cocktails. In my humble opinion, Mylan has the best satay in Wollongong. As a shameless satay lover, I somehow forsake everything else on the menu for that familiar delicious satay chicken every single time I go in. Mylan is combination Vietnamese and Thai, and serves fresh delicious meals up six days a week. The restaurant bustles with CBD workers and students alike most lunchtimes, and packs out with groups and bookings on weekends. It is easy to see why it is so popular, and the lively atmosphere make it appear to be constantly busy. The noteworthy satay sauce is just the right combination of delicious peanutty goodness with a bit of a kick to keep you on your toes. The biggest decision of Jess's day is often what to have for lunch. A coffee addict, sweet tooth and glutton all rolled in one; Jess has a love for food. She has a reputation among her friends as a big eater, and has taken on several eating challenges just to prove a point. Jess loves to bake, mainly to indulge her own sweet tooth, but also to share the dessert love! Jess works in hospitality and is constantly surrounded by delicious food - she is always first to volunteer as taste tester when any new recipes are being created. There’s no need to ask if Jess is hungry – she almost always is.